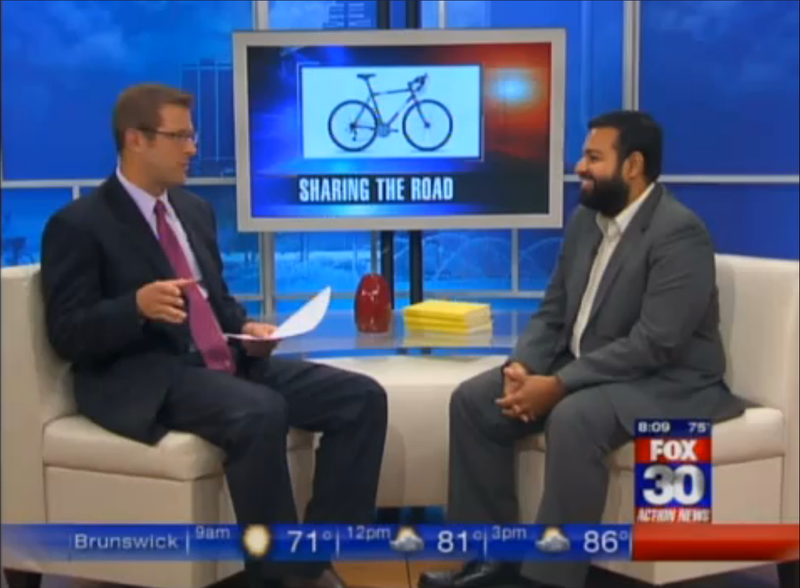 Abhishek does us proud once again in the news, this time as the interviewee in the Action News Morning Show studio, May 24th, 2012. Click on the link (not the image) above to watch. Mike Barz: Wouldn’t you think, in a warmer climate, we would rank a little bit higher, but it seems the cooler weather climates are the ones that outrank us. Why is that? Abhishek: Geographically, the way the city is planned, how big it is is a big factor. It’s originally designed for cars and bicycles came later in popularity. So it’s kind of hard to get around because the distances are huge and any time they make changes it’s widening lanes which makes it even more difficult for bicycling because the speed limits are higher and things like that.